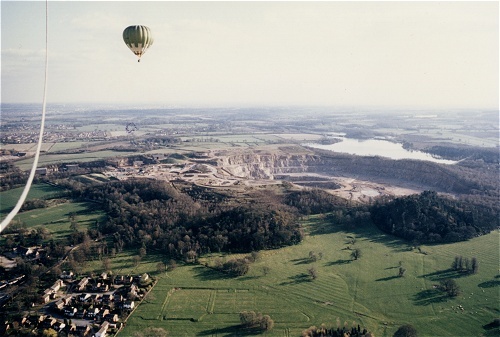 Mountsorrel Quarry and Swithland Reservoir are visible also. Quorn Park is in the foregound. The regular markings in the grass lower centre are the remnants of the 82nd Airbourne Wood Land Camp of 1944. Other lines in the grass show medieval ridge and furrow fields and possible medieval building outlines.